Both systems plan to grandfather current students and their siblings, therefore these changes applies to new admissions starting with the 2014-2015 school year. 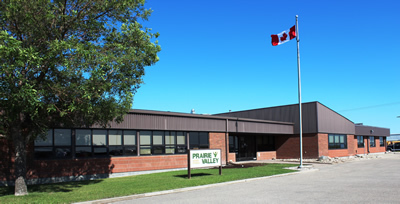 Over many years, Prairie Valley School Division and legacy divisions have transported some students to Regina schools, due to historical attendance patterns or for French Immersion or other programming that was not traditionally available in rural schools. This year, 241 of 8,300 Prairie Valley students are transported to a school in the Regina Public or Regina Catholic systems or to Luther College High School. In order to organize transportation efficiently, transportation corridors were designed to transport to schools that could either provide dual track English and French Immersion programming or were in close proximity to one another. More schools have been added over time, as the Regina systems have changed some schools from dual track to single track and as specialized programs have been developed at particular schools. As the Regina systems have grown and changed, it has become increasingly difficult to organize transportation efficiently. Over the same period of time, transportation services within Prairie Valley have improved and we are now able to transport more students to Prairie Valley schools. We have also developed a broader array of programming within our schools, including a French Immersion program (offering kindergarten to Grade 5 as of the fall) at Ecole White City School. These developments are consistent with the Board of Education’s long-term objective to educate all Prairie Valley School Division residents within Prairie Valley schools and with our mandate as a public school division under The Education Act. The Prairie Valley Board of Education has developed the following plan as a result of the admission changes made by the Regina school systems. New high school students will be bused to Thom Collegiate and Archbishop MC O’Neill High Schools, both of which provide both English and French programs. Students who are currently bused to Campbell, Leboldus and Luther High School, and any of their siblings, will continue to be bused to those schools. Current elementary students and their siblings will be bused to their current Regina schools. New French Immersion students in grades K to 5 will be offered programming and transportation to Ecole White City School. Students in Grades 6 to 12 will continue to be bused to a designated Regina school. Please note that these designated schools are for transportation purposes. While some schools have been closed to new Prairie Valley residents, others are available. Families should contact the Regina Public or Catholic school divisions for more information about open locations, but Prairie Valley School Division will provide transportation only to the schools listed above. French Immersion students in Grades 6 to 11 will be grandfathered to their current Regina school. We certainly recognize that the decisions made by the Regina school systems will have a significant impact on some students and families who have historically attended Regina schools. The programming and attendance area changes made by those systems are in response to the circumstances they face and the populations they are mandated to serve. Prairie Valley School Division has a mandate to educate the residents of our School Division and we are committed to providing a quality education to all Prairie Valley students. Transportation will be provided and we will do our best to provide reasonable ride times, as we do in all areas of our rural school division. Over the next several months, we will be conducting a detailed assessment to develop transportation routes for 2015-2016 and will communicate more information to you in the fall, including which Prairie Valley school will serve your area. While we continue to provide transportation into Regina for the 2014-2015 school year, working within the attendance changes implemented by the Regina school systems, it is important that families understand that this is a transitional approach and transportation will no longer be provided to Regina schools, with the exceptions noted above, effective for the 2015-2016 school year. Please direct any questions about programs, services and admission policies to the Regina school systems. For follow up questions about transportation, please call Prairie Valley’s Transportation Office at 306-949-6566.